FLINT, MI – Friends of the Flint River Trail will begin its regular Sunday bicycle rides through Flint starting May 5. Rides are held Sundays through October starting at 2 p.m. at the Flint Farmers’ Market. In the first trip of the season, riders will pedal about 10 miles from the Farmers’ Market to Stepping Stone Falls, 5161 Branch Road, and back, weaving through UM-Flint and Mott College campuses. Other typical routes have riders cycling north along the Flint River to Bluebell Beach, 5500 Bray Road, and a 17-mile round trip heading northeast into Genesee Township for ice cream. Rides usually span 10 to 12 miles with a short break in the middle and light refreshments at the end. The Sunday rides are free of charge and no advance registration is required. Riders must bring their own bicycles. Friends of the Flint River Trail strongly encourage riders to wear helmets. Jack Minore, co-chair of the Friends of Flint River Trail, said last year there were nearly 40 riders every Sunday from all over Genesee County, living in about 25 to 30 different zip codes. 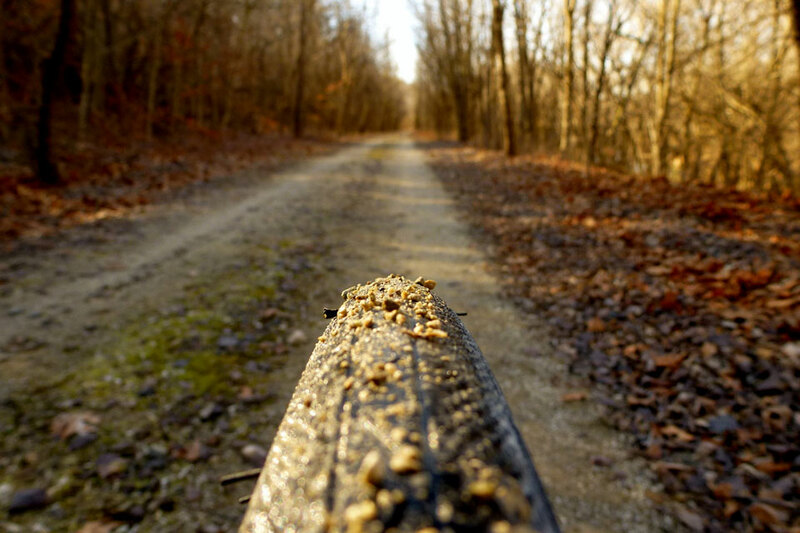 “Michigan has more miles of bike riding trails of any other state in the union,” said Minore, a board member of Flint River Watershed Coalition and Michigan Trails and Greenways Alliance. Some riders had the opportunity to see deer and fox along the Flint River to Bluebell Beach last year, Minore said. “People don’t realize there is a nice, rustic part of the river,” he said. Friends of Flint River Trail .JPG Sunday riders gather near Bluebell Beach in Flint during last year’s bike ride kickoff event. Photo courtesy Linda Johnson-Barnes Minore, who has been on about 800 rides since Friends of The Flint River Trail started the events 15 years ago, said the rides are family-oriented and flow at a leisurely pace. “I like it because we’re introducing people to good bike riding,” he said. 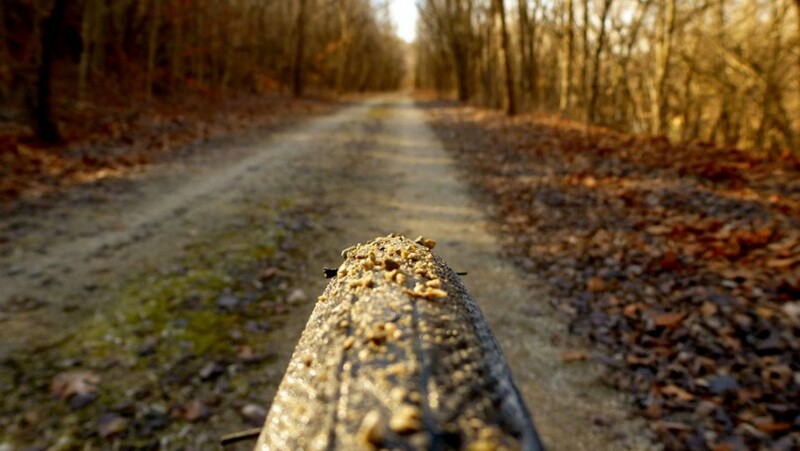 Friends of the Flint River Trail hosts “Third Saturday Rides,” on the third Saturday of every month of the ride season, with the first one starting May 18 at 10 a.m. on the Southern Links Trail beginning at Columbiaville Trailhead in the village of Columbiaville in Lapeer County. The ride is about 20 miles in length. A Flint River Trail cleanup is also scheduled for Saturday, April 27, at 9 a.m. Those interested can meet at Veteran’s Park on James P. Cole Boulevard. Garbage bags will be provided by Keep Genesee Beautiful, and lunch will be provided by HealthPlus and Kroger and Meijer Pierson Road locations. Questions about rides can be directed to Bruce Nieuwenhuis at bnbaton@gmail.com or Jack Minore at jacksonmin@aol.com. Further information can be found at the Friends of the Flint River Trail website. 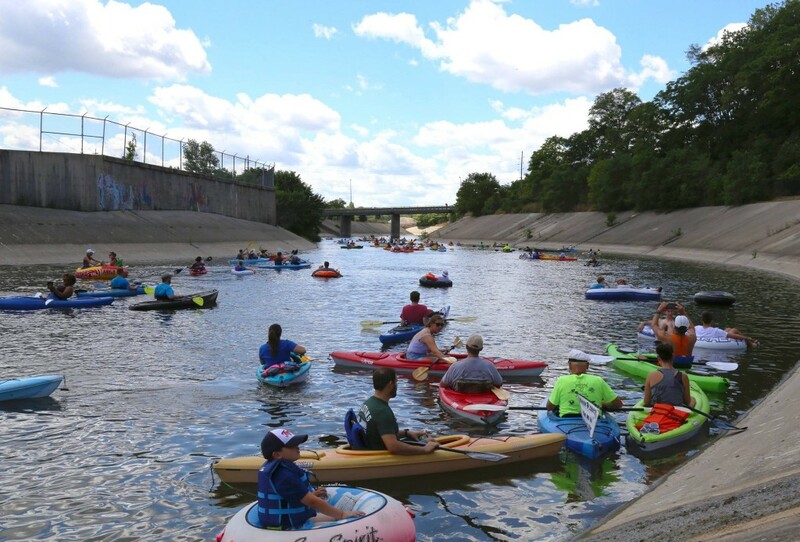 FLINT, MI–With a sunnier forecast than expected on Saturday afternoon, Genesee County residents boarded their watercrafts to participate in the Flint River Flotilla. Genesee County residents brought their canoes, kayaks, rafts, inner tubes, inflatable islands and more to the Flint River, getting into the water by the firehouse at N. Grand Traverse and Kearsley. They floated down the river until they arrived by the Mott Park Golf Course across from McLaren Hospital. From there, they could enjoy food and music and more or head home for the day. 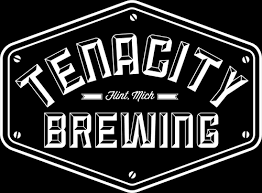 Fedewa said that the Flint River has an unfairly bad reputation, but that it’s a strong resource for Genesee County residents. “It’s a great recreational amenity that flows right through our downtown and people are afraid of it,” she said. “We want to show people that they can get on the river and have a good time, and that it’s accessible and safe.” Fedewa estimated that nearly 100 people participated in the Flotilla, with 71 floating devices being in the water. Organizers thought that a bad weather forecast may have dissuaded some people from participating, even though the weather ended up being fine. Nearly 40 volunteers helped run the event. “We’re doing it again next year, and we hope to have double the crowd next year,” Fedewa said. Flint resident Joseph Chambers came to the event with his brother, his sister-in-law, and some friends. As a group, they had a canoe, two kayaks, and a rubber raft. He said they try to get out on the water every other week, usually visiting Mott Lake, the Genesee Bell, and the Flint River from Irish Road down to Genesee Road. 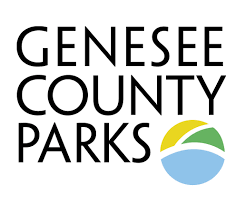 “In Genesee County, especially when you’re outside of the cement park, it looks just like up north, and it’s right there,” Chambers said. “It takes us ten minutes to get to the water, and once you’re a little paddled down the way, you don’t see civilization. It’s just nature and trees.